18mm. Vintage glass from 1930's Czecho-slovakia. Green art deco stone. New old stock. There may be chips on the bottom, but they will not be visible from the top. 18mm. 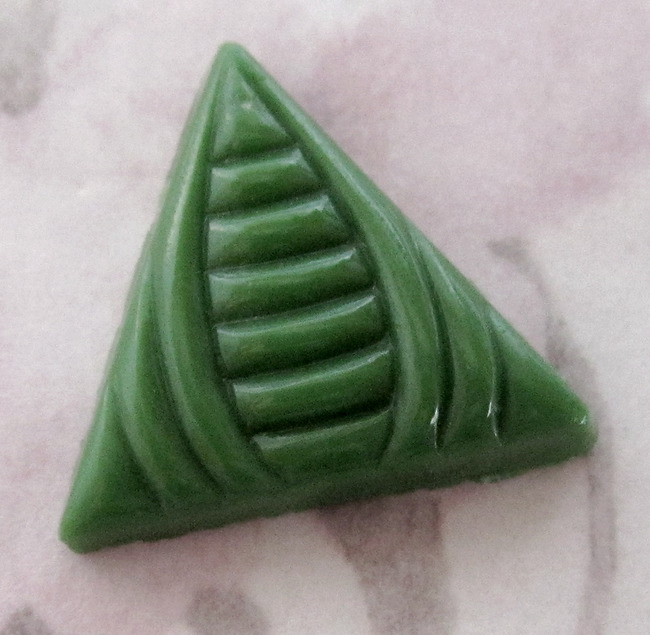 Vintage glass art deco green triangle flat back cabochons from 1930's Czecho-slovakia. Green art deco stone. New old stock. There may be chips on the bottom, but they will not be visible from the top.